Laura H. Ware: Tuesday Thoughts: The Conclusion of Nano and a New Book Out! Tuesday Thoughts: The Conclusion of Nano and a New Book Out! Yes, this should be Monday Musings, but by the time I finished writing I was exhausted. And it completely slipped my mind. So please forgive me for being late. I finished up this year's Nanowrimo at 25,074 words. While it's only half of the 50k I was aiming for, it is my best month this year and better than I did last in last year's Nano. So I'm calling this a win on my side. On the plus side as well I am working on a novel that has fired my interest, even if I'm at the stage where it all seems like garbage (every novel hits this stage when you write, you just push through it) and I hope to finish this one by early next year. Speaking of novels, I have a new one out. 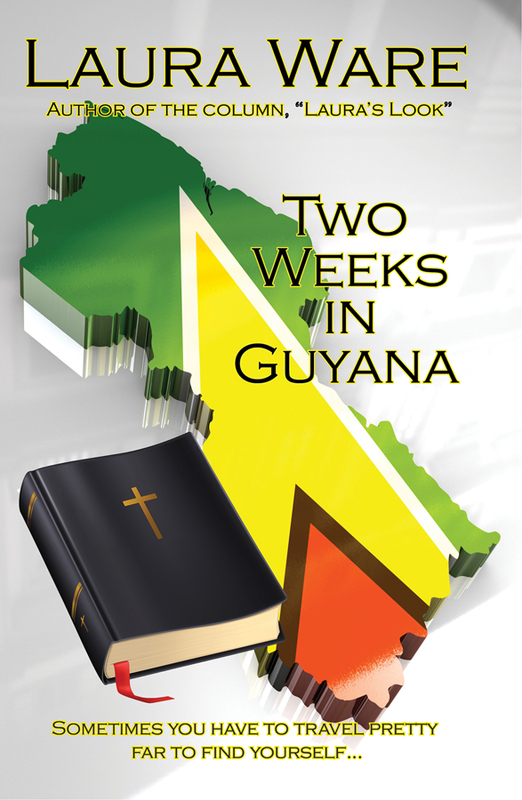 TWO WEEKS IN GUYANA is available as an ebook in all the usual spots and should be available as a print book shortly. I hope you enjoy it!